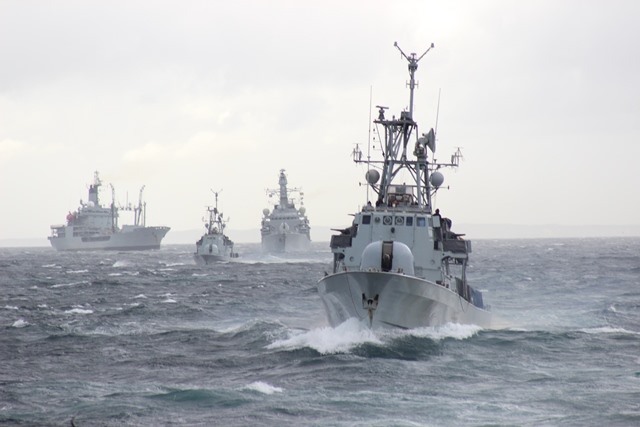 The South African Maritime Safety Authority (SAMSA) has warned that the country is poorly equipped to manage effectively any weather-induced disasters at sea, and says that unless serious attention is given to the situation, the maritime economic sector and the country’s economy in general could face serious consequences. The warning by SAMSA Chief Operations Officer, Mr Sobantu Tilayi came against a backdrop of observable dramatic climate changes affecting the country, which has seen areas such as KwaZulu-Natal – home to two of the country’s busiest ports in Durban and Richards Bay – battered by severe storms that led to loss of life and damage to property at sea. Watch and listen to Mr Tilayi’s full remarks [32 minutes] on these and other aspects of the state of the country’s maritime economic sector development: click on the video below. French container shipping line CMA CGM has announced various upgrades to three of its services to Africa. New port coverage: Marseille – Barcelona – Valencia – Casablanca – Algeciras – Tangier – Dakar – Lome – Bata – Malabo – Apapa – Tincan – Onne – Kribi – Port Gentil – Libreville – Douala – Algeciras – Marseille. 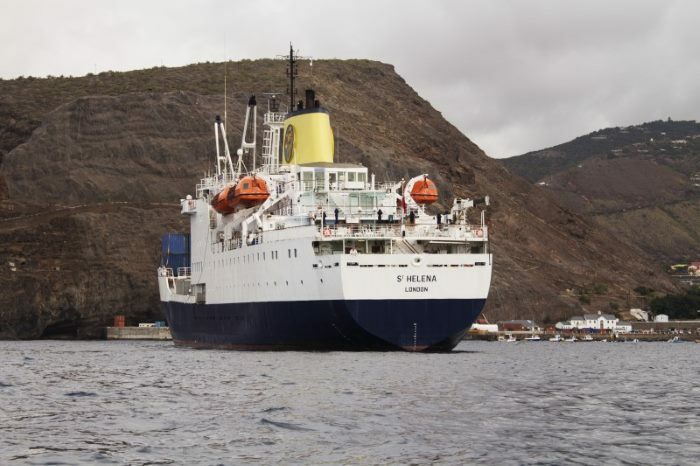 The Royal Mail Ship RMS ST HELENA is now on her final voyage back to Cape Town, having made her last call at the South Atlantic island of St Helena on Saturday, 10 February. 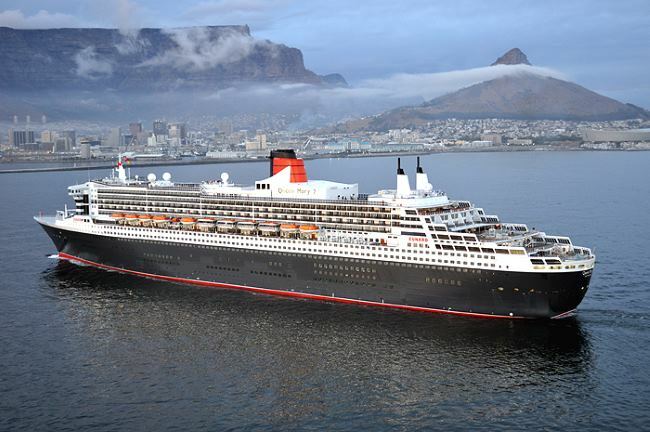 The 6,767-gt mail ship, one of only two ships that carry the prefix RMS, has served the remote island from 1990 and has completed 268 voyages, carrying passengers as well as cargo and of course, the Royal Mail. Now all that has come to an end with the completion of the island’s first airport and the successful introduction of an air service between Johannesburg and St Helena. 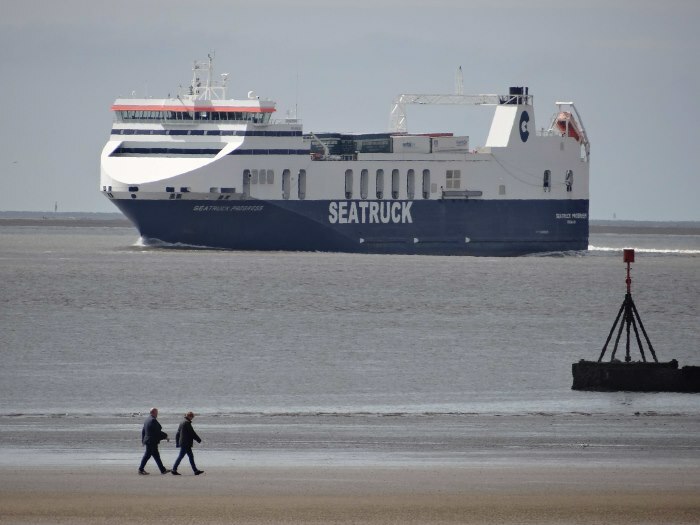 It will be a lot more convenient for islanders especially in emergencies but gone will be the romance and charm of one of the world’s last surviving dedicated passenger sea voyage services. The ship was treated to an emotional and enduring farewell by islanders who turned out in their hundreds to say goodbye for the final time. We won’t spoil the story – rather use this link to the excellent coverage by the island’s own news website Whatthesaintsdidnext.com Click on it and be taken away to your own special moment in time. 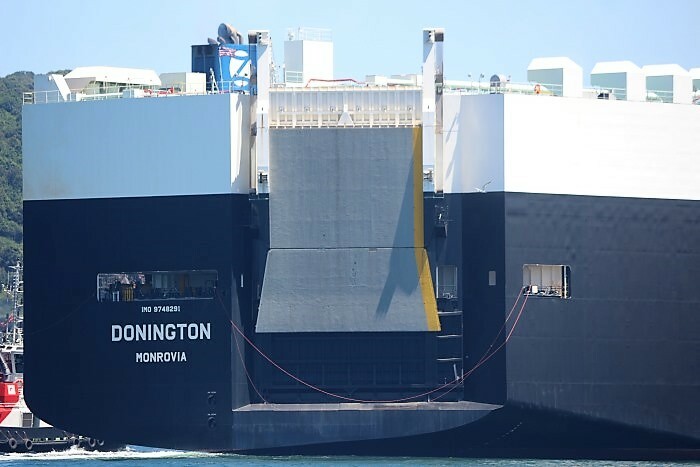 As fate would have it, the ship had not gone too far over the horizon when a medical emergency on board the ship forced RMS St Helena to turn back for a brief one-last-call on Monday 12 February – this time without the fanfare and for just two hours. This may affect her scheduled arrival at Cape Town. 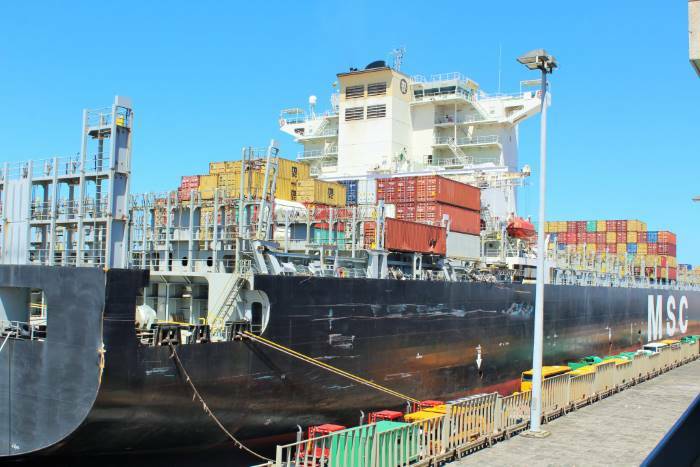 Cameroon has launched an international call for expressions of interest (EoI) to select a firm or group to monitor technical works during the second phase of construction of the Kribi port in that country. Interested firms or groups are invited to send their offers to the office of the Kribi port’s managing director. During the second phase of construction Cameroon plans to have built a second container terminal with a 700-metre quayside (the first container terminal is 350-metres in length), an iron ore terminals and an oil terminal. The second container terminal will be built by the Chinese firm CHEC, thanks to the financial support of Eximbank China. 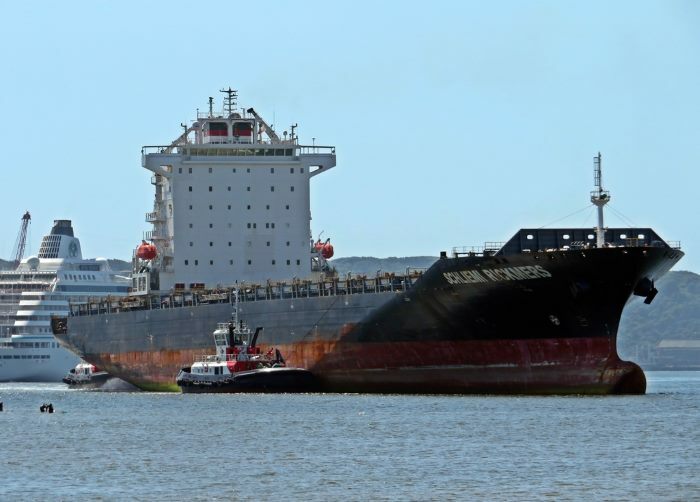 The iron ore terminal will be built by the consortium exploiting the Mbalam iron deposits (Sundance Resources and its partners), while finally, the oil terminal will be built by the consortium which will produce liquefied gas at Kribi offshore (SNH, Perenco). 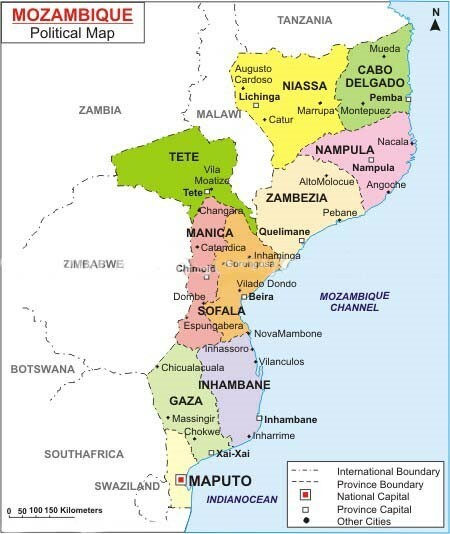 Negotiations for oil exploration in Mozambique’s Angoche basin continues despite the withdrawal of Norwegian company Statoil. The latter was part of the original consortium set up to explore the area in the province of Nampula. 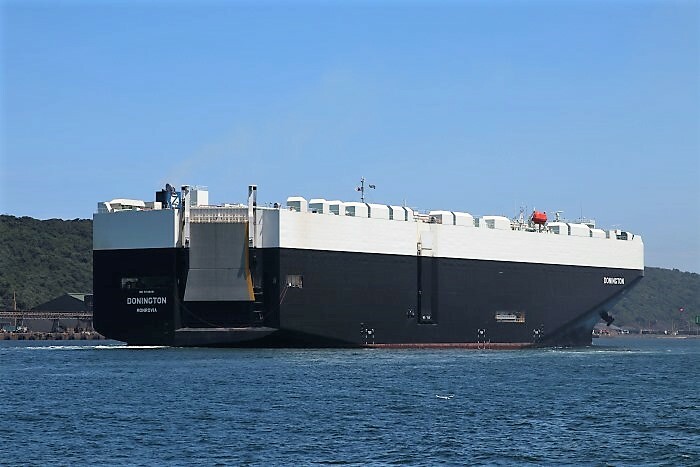 Namport has taken delivery of four state-of-the-art ship-to-shore (STS) gantry cranes for the new container terminal approaching completion at the Namibia port of Walvis Bay. According to reports, the new container terminal, which is under construction on a former sandy area facing the existing port, is about 76% complete. 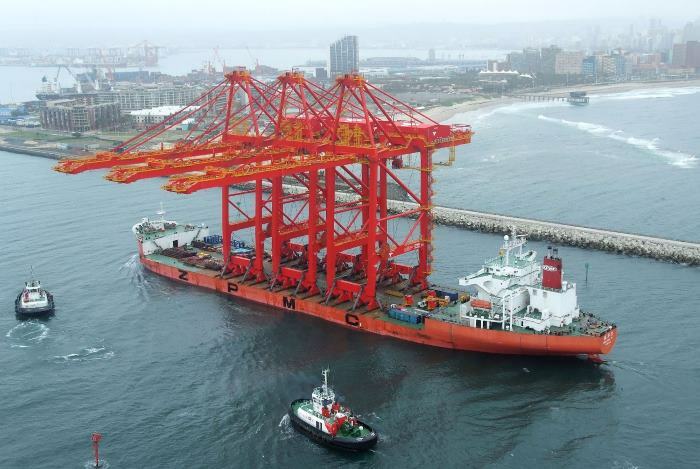 Taiwan’s Evergreen Marine Corp has confirmed that South Korea’s Samsung Heavy Industries shipyard will build eight of its planned 11,850-TEU container ships. These are to be delivered between the first quarter of 2020 and the second quarter of 2021. 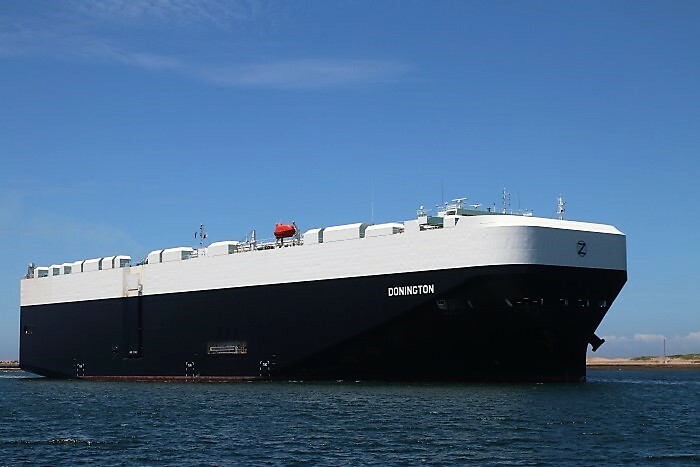 The remaining 12 ships are to be leased from ship leasing company Shoei Kisen Kaisha and will be delivered between the third quarter of 2020 through to the last quarter of 2021. Each ship will be 333 metres in length with a beam of 48.4m and a deadweight of around 127,000 tons and a scantling draught of 15.5 metres. 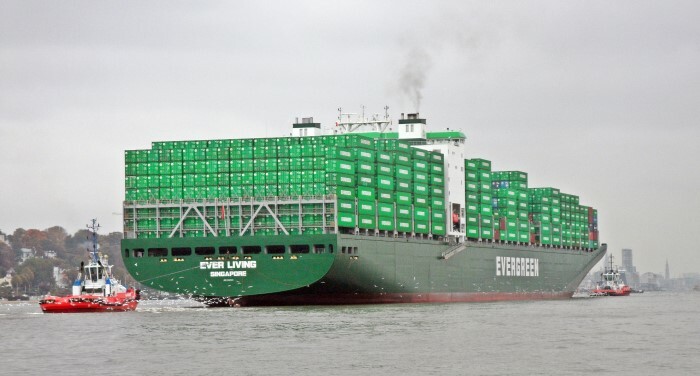 Evergreen operates with a fleet of about 200 ships. 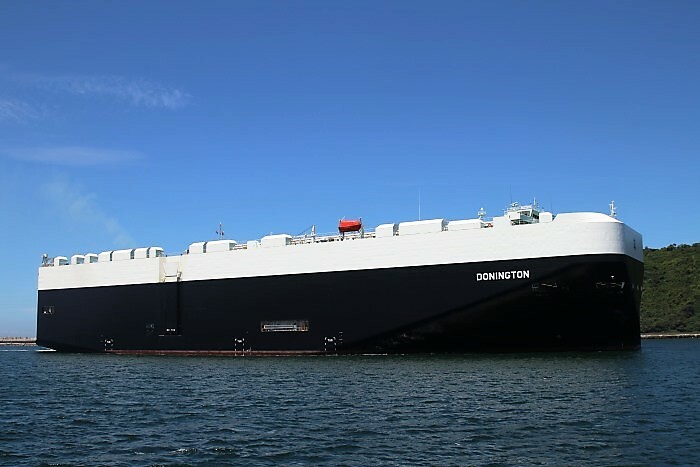 The new vessels will replace older tonnage. Optimarin has revealed that 2017 was its best ever year in business. 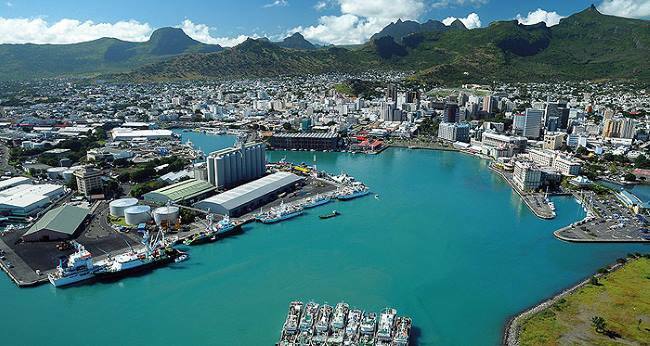 The Norwegian-headquartered ballast water treatment (BWT) specialist delivered more than 60 of its USCG-compliant Optimarin Ballast Systems (OBS), recorded a healthy pretax profit, and saw continued investment provide a solid platform for on-going growth. Optimarin CEO Tore Andersen comments: “We’ve been exclusively focused on developing BWT solutions for almost 25 years, but we’ve never been as busy as we were in 2017. I think the fact that OBS was the first system to gain full USCG approval in late 2016 acted as a catalyst, with shipowners choosing us for worldwide compliance and fleet flexibility, added to a proven track record of reliable operations. With 2017’s orders accounted for, Optimarin has now sold 550 systems, with around 440 delivered worldwide. 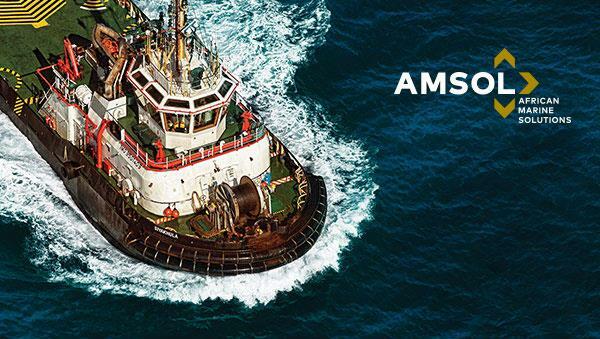 Backed by a stable group of investors, with ambitious long-term plans, Andersen believes the next few years will see these numbers increase significantly, as shipowners move to comply with the IMO’s Ballast Water Management (BWM) Convention. To support shipowners, and differentiate the business, Optimarin made a bold move in 2017, as Andersen explains: “In November last year we decided to illustrate our faith in our technology and long-term business stability by launching the BWT sector’s first five-year guarantee. OBS is fully approved by both IMO and USCG, with certification through DNV GL, Lloyd’s, RINA, Bureau Veritas, MLIT Japan, and American Bureau of Shipping. Current Optimarin customers include The Royal Netherlands Navy, Seatruck, Saga Shipholding, Technip, GulfMark, MOL, Solstad Farstad, and Hapag Lloyd, amongst others.